Rosy Outlook: Whole 30 Week 3 Update + Meal Plan! Whole 30 Week 3 Update + Meal Plan! Happy Friday guys! Hope you had a great week and have some fun weekend plans ahead! I'm just going to jump right into today's post because my last Whole 30 update was a little long-winded. Just a small summary of Week 2 since I wasn't able to do a full post--Week 2 was definitely the easiest so far! We just blew through the week and didn't really think twice about anything we were cooking. The meal ideas came pretty easily and I didn't have a lot of cravings for sugar/carbs/dairy. Week 3 on the other hand...has been a whole different story! It's crazy and sort of eye-opening to see how dependent I've become on certain food groups. So far, not being able to have added sugar and carbs (aka sugary carbs) has been the hardest. I don't eat a lot of candy or anything like that but once a week I typically indulge in a doughnut or a muffin or some sort of breakfast pastry. Not being able to have that and then not being able to have my morning oatmeal has sucked. I did come up with a pretty good alternative I'll talk about below but it's just not the same! Lunch is never a struggle because I pretty much always eat very healthy and very low-carb for lunch even prior to Whole 30. Dinner during Week 3 was difficult because we were so busy at work and with wedding stuff so coming home and having to creatively cook every night was a struggle. Monday night was the closest I've come to quitting! All I freakin' wanted was a slice of pizza! Physique/Mental State: My energy is probably about the same--I haven't seen a real increase or decrease this week. Week 2 I would say my energy was definitely higher than normal then I saw a little bit of a drop this week. At this point, I have lost 5 pounds total which is motivating. It definitely hasn't helped my acid reflux issues--if anything I would say it's made it worse because I'm eating so many acidic fruits! Fruit is all I'm craving on this diet. And guacamole! Beverages: This week I still stuck to only drinking water, green juices, different teas with lemon or almond milk, coffee on the weekends with almond milk, and sparkling waters with no sugar added. Sweet Treats: If I'm craving something sweet, I either go for a banana smoothie (which is literally just frozen banana, almond milk and unsweetened almond butter), Trader Joe's fruit bars (the only ingredients are apple and strawberries), or grapes. Those (typically) satiate my sweet tooth! Hope y'all enjoyed this post! Have a wonderful weekend! You are getting so close to the end! That's awesome you've lost 5 lbs. already! I feel like dinner would be the hardest for me too. After a busy day at work it's always hard to come home and cook dinner and with so many restrictions, I would be a mess haha! Have a great weekend, Kelly! I forgot you were doing Whole 30 too! I'm on my final few days now. I'm not going to lie, I splurged and had a donut the other day and I could feel the difference in my body after eating it. So weird! So proud of you! I so wish we had a close Trader Joe's as I would love to try those fruit bars and the banana smoothies sound great. Notice I'm mentioning the sweet things because I have such a sweet tooth. I hope you have a sweet and cozy weekend beautiful girl! I would love to be able to do this, but it is so hard with a big family. Plus I really don't think I could cut out my glass of wine on Friday evenings! Good for you for sticking with it. The menu for the week sounds quite delicious actually, thought the breakfast seems a little light, do you find that you get hungry often throughout the day? I usually have a really big breakfast, so I can see that being a major adjustment for me. Also, do they make suggestions based on your body weight and age? I don't know if I'd be able to last on something like this now that I'm pregnant, but I think I may be open to it after I have the baby to help shed the weight. Thanks so much for sharing, beauty, and I hope you have the best weekend ahead! Wow, you must be proud!!! Wow that's amazing! I've been wanting to give whole 30 a try but I'm traveling a lot the next few months I'm not sure I'll be able to keep it up! 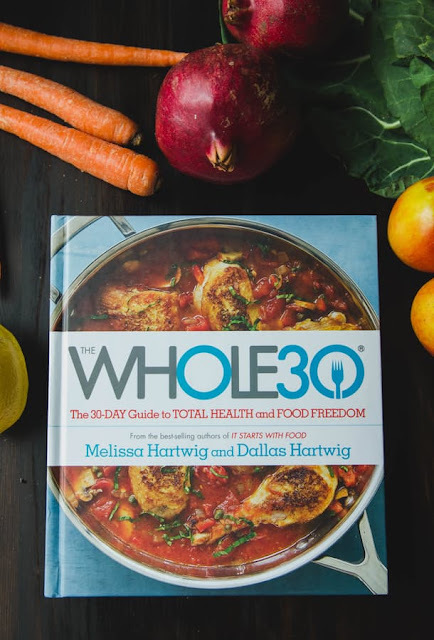 You are doing so amazing with the Whole 30 diet! Everything you're eating sounds so delicious! I did whole 30 once as well and I remember week three being hard. You've got this! I should probably do it again... I have been on a major sweets kick. This looks like a great idea!! Just another week to go! Great post! I've been wanting to try Whole 30! Tuesday, Wednesday and Friday's meals sound great! I have to try making lettuce tacos, they sound like a delicious healthy alternative to normal tacos. Thanks for sharing!